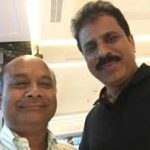 Ramesh Damani has conducted an in-depth study into how Radhakishan Damani became a magnificent 9x Billionaire from the stock market even though several of his peers failed to do. The secret is that Radhakishan Damani is blessed with an intuition which guides him as to whether the market is bullish or bearish. “He will smell a bear and bull market and tell you within a day, not even a month,” Ramesh Damani said, with awe in his voice. 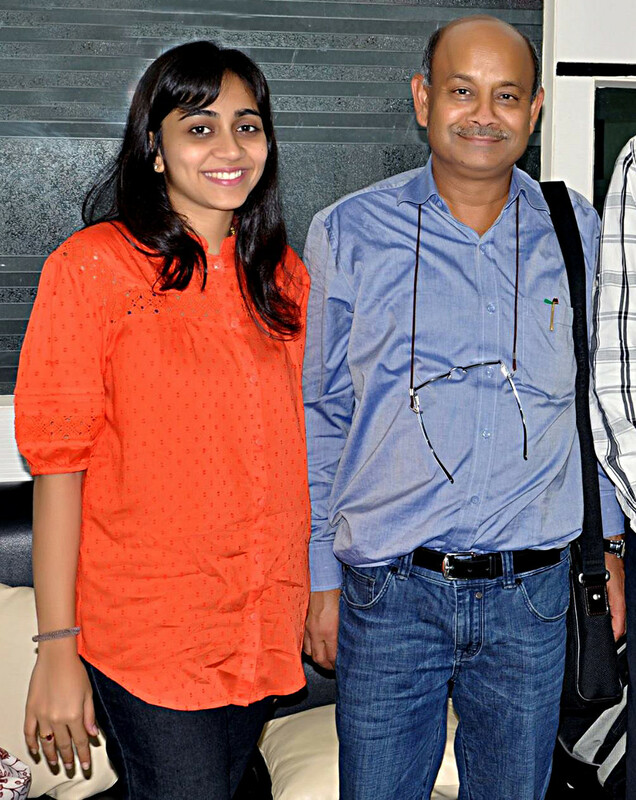 The same intuition has helped Radhakishan Damani pick stocks which were destined to blossom into mega multibaggers. “He picked stocks like HDFC Bank when it was at Rs 40. 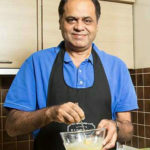 He picked Nestle when it was at Rs 300,” Ramesh Damani gushed in admiration. “It is an extraordinary career. Ask anyone from stock market from 70s and 80s that who was the greatest speculator in India. They will name RK Damani. He was the greatest speculator and investor of our generation,” he added. #BQBlueExclusive | Ramesh Damani talks about the other Damani he admires, at #BQEdge – the on-ground initiative of BloombergQuint. 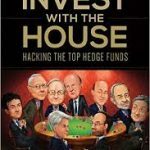 It is notable that most people are competent to either be investors or speculators but not both. Warren Buffett, for instance, is a great investor but can never be a great speculator. Per contra, George Soros is a great speculator but never be a great investor. However, Radhakishan Damani is able to wear both hats effortlessly. “It is like writing with both the hands. He has done it. His brain is wired to do both and not mix things. It is difficult but he can. He will do according to the rules of the game. 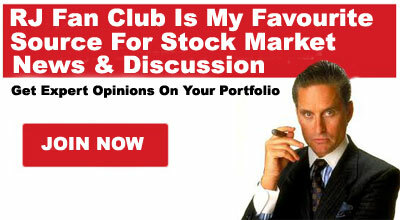 He will not tolerate a losing position in a speculative market. He will be very patient in an investing in market. These are two extraordinary skill sets combined in one person, but that is a gift of god. It is like a black swan which occurs once in a while,” Ramesh Damani explained. Ramesh Damani revealed an interesting aspect about Radhakishan Damani which is that he was eager to share his stock ideas with all and sundry. 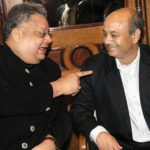 Ramesh Damani, then a newcomer to Dalal Street, was naturally baffled as to why, when others hoarded information and kept their ideas a top secret, Radhakishan Damani was so open about it. “The stock market is like a river running down. If I pick up four buckets of water, then it doesn’t mean that there is less water in the river. If we both pick up two buckets, we will both prosper simultaneously,” Radhakishan replied in his rustic style of speaking. 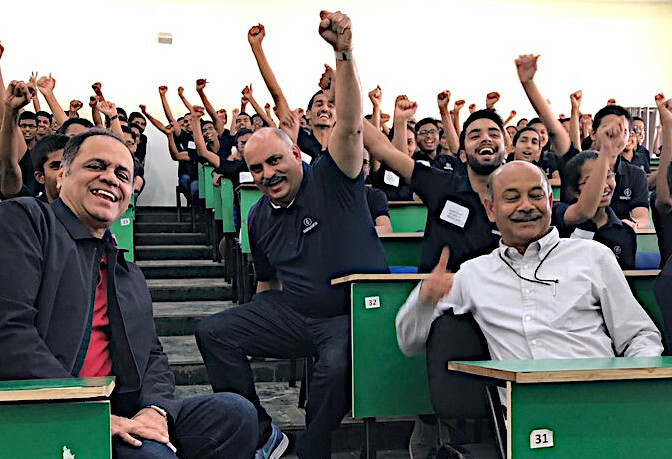 “That comes from a great deal of intellectual self-confidence,” Ramesh Damani acknowledged. Presumably, Radhakishan’s game plan was to create a group of like minded investors/ speculators who could combat rival groups such as that of Manu Manek, the legendary Bear, Harshad Mehta, the legendary Bull etc. Ramesh Damani hinted that this was the Billionaire’s game plan. “The RK Damani group has prospered through 30 years and become wealthier. They have seen this the web of trust between the players,” he said. Radhakishan Damani may or may not have been a fan of Jimi Hendrix, the legendary rock guitarist. However, he does follow one of Hendrix’s core philosophies which is that one should listen more and talk less. “A part of the reason why he is successful is because he is a great listener. In a conversation of 10 people, he will be the only one not talking,” Ramesh Damani stated. Rakesh Jhunjhunwala, the Badshah of Dalal Street, said the same thing about the 9x Billionaire. 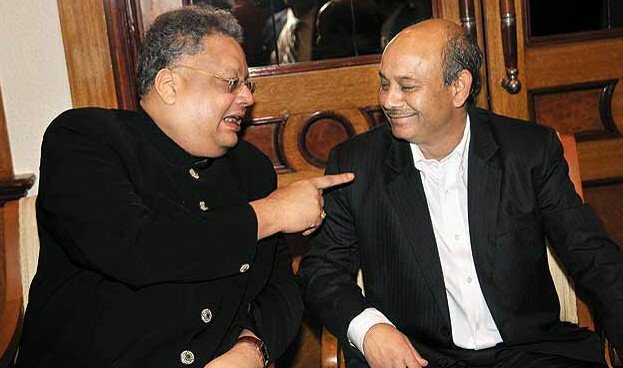 The Badshah revealed that Radhakishan Damani has had a profound influence on him. “I learnt trading from him … He has wisdom, extreme patience and humility … The patience he has to hear the other person’s point of view is unbelievable … He taught me life and shaped my nature. If he and my father had not been there to guide me, I would not have achieved such success”, the Badshah added with utmost humility in his voice. 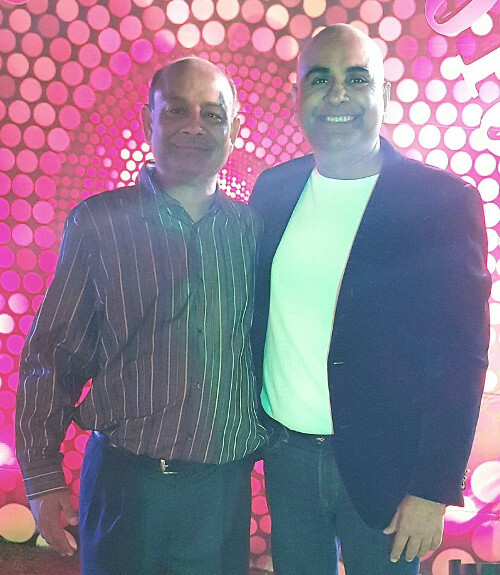 Ramesh Damani paid Radhakishan Damani the ultimate compliment by equating him with the legendary Steve Jobs, who revolutionized the computer and mobile phone Industry. “In 2000, he gives all this up and becomes an entrepreneur. He starts DMart, which is valued at Rs 1 lakh crore in the market. He has three acts of great speculator, investor and entrepreneur. We all think Steve Jobs did great as he reinvented computers, publishing, iPhones. And here in India we have someone doing that. 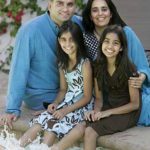 It is truly a gift of my life to absorb the energy and see the outperformance over a time,” Ramesh Damani said with emotion in his voice. I have learnt a great deal from him over the years. He such a humble man. 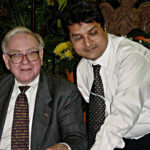 I must say he is one of greatest investors of his time and always willing to share his knowledge without any inhibitions. He may be sharing it with his few friends with in his close circle,I had hardly seen him sharing any thing to common small investor.It is unfair to compare him with Steve jobs ,who j founded life of many,but R K Damani may have influenced life of few of his close friends.Rather I have seen other Damani,ie Rakesh Damani speaking many times . I agree. We have never never heard about him except in his very private inner circle. Look at what people do, not what they say. It is very hard to keep such humble personality inspite of such massive success. Mind your business and don’t convince others of what you do is great as like Poriju, Pabrai and Basant is a take away from this great main. The last photo is with his daughter, not an admirer. Haha, how come you can compare the visionary who wants to create something to bring the change in the world with a person who only cares about his profit, in the last 10 years whenever he came into the tv and suggest some names, within a few weeks the stock shout up and then he slowly offload his stake. I’m active in this market from the last 12 years, what I realized that learn of your own and then only you can make profit else you will be in lose only. P.S: Don’t have any personal problem with Mr. Damani, but what I saw I’m simply disappointed. Though I respect his education and achievement. Sorry for the last comment as I read the Damani name, and thought of other Damani, for R.K. Damani he is a gem.